Can President Obama overcome a weak economy and win in 2012 by campaigning against the Republican Congress? The historical evidence for this claim is weaker than his allies would like to admit. Facing long odds in the 1948 election, Truman put Republicans in his campaign bull’s-eye and unloaded on the “do-nothing Congress.” He won, and conventional wisdom took a beating. This idea, which has been echoed by opinion makers ranging from former New York Times columnist Frank Rich to Washington Post reporter Dan Balz, has given hope to Obama supporters demoralized by the current state of the economy. Of course, economic projections are frequently wrong. 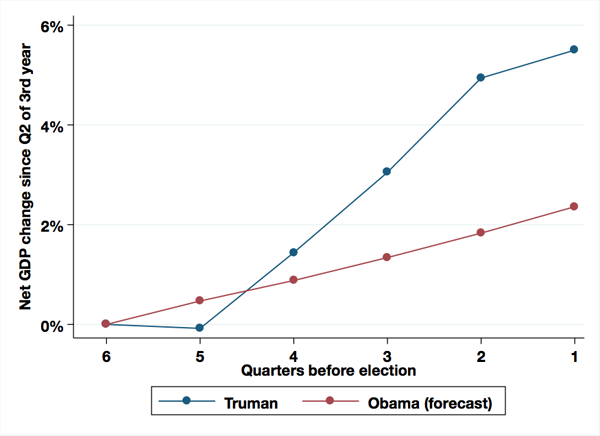 Obama could enjoy an unexpected surge in growth that would propel him to re-election. 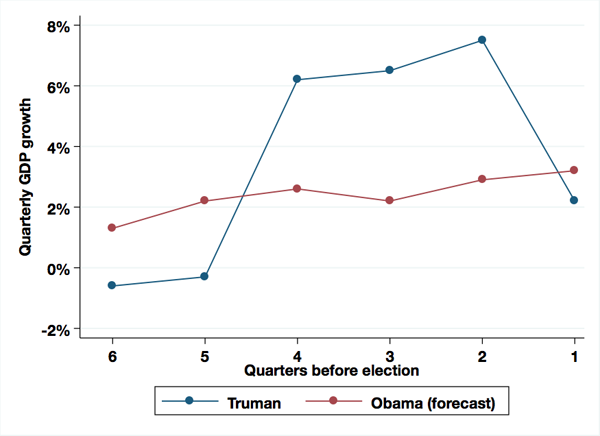 But in its absence, he will face a much more difficult path to reelection than Truman did. Brendan Nyhan is an assistant professor in the Department of Government at Dartmouth College. He received his doctorate from the Department of Political Science at Duke University in May 2009 and served as a RWJ Scholar in Health Policy Research at the University of Michigan from 2009-2011.